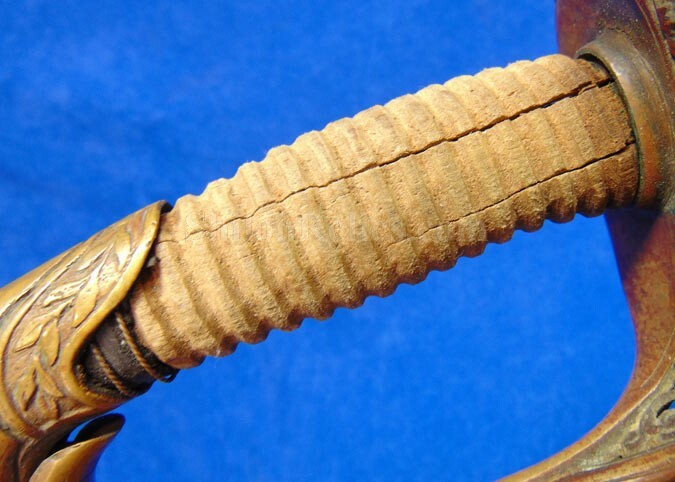 If you have wanted an original Confederate officers sword without spending $10,000 then this one is for you. 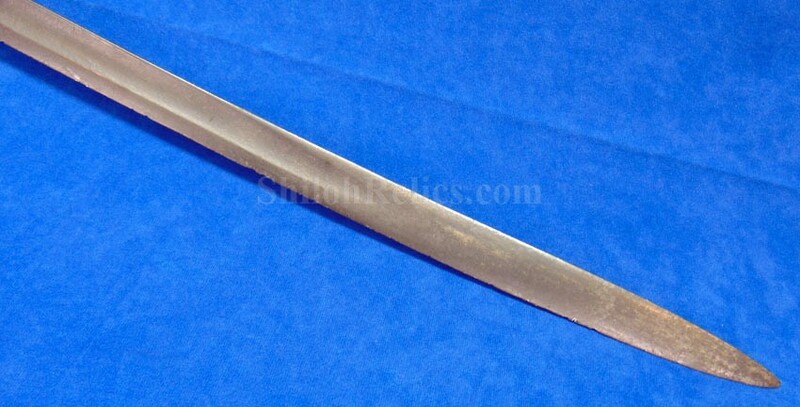 This is an original Confederate officer's sword and is the style known to collectors as the "foot" officer sword. These were worn by the lower ranking officers in the Confederate service. 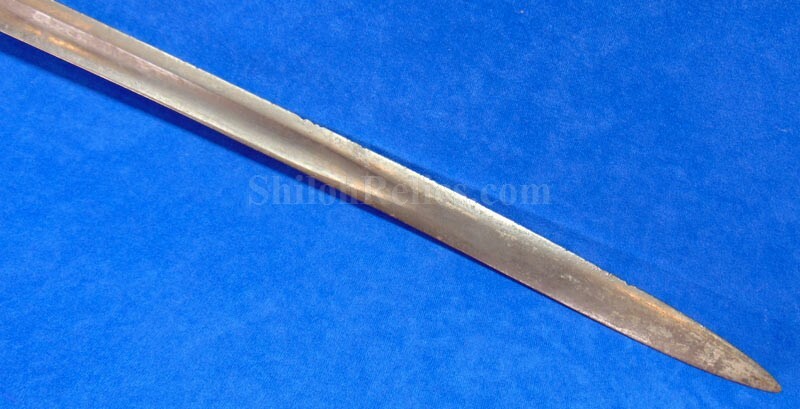 The blade on this sword measures 29-1/2 inches in overall length. 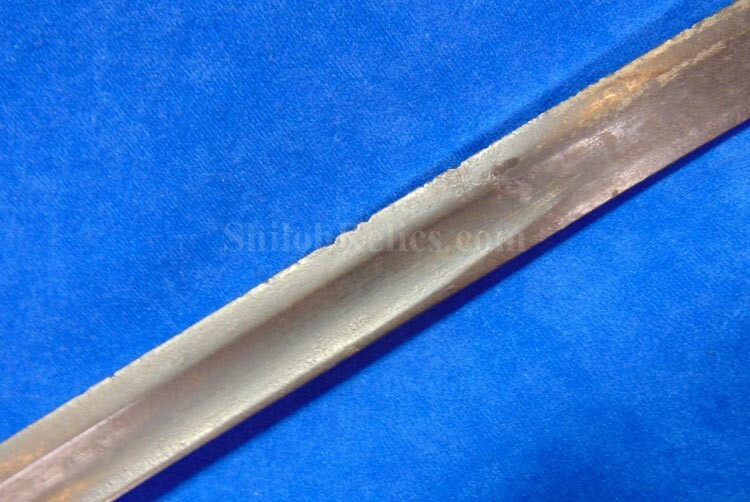 On each side of the blade it has the single unstopped Fuller. The color of the blade is a nice dark gray colorwith some old service nicks along the edge. 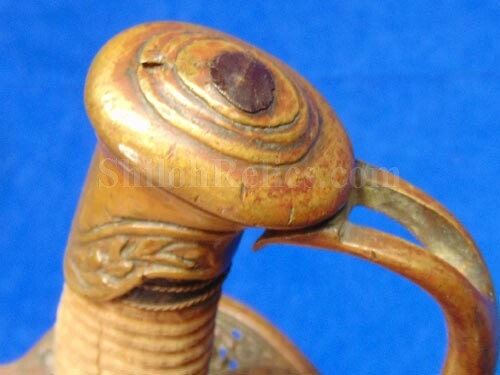 The construction of the handle in the grip let us know who made the sword. This is the distinctive construction technique of the Richmond, Virginia firm of Boyle and Gamble. They were the premier sword maker in Virginia for the Confederacy during the Civil War. 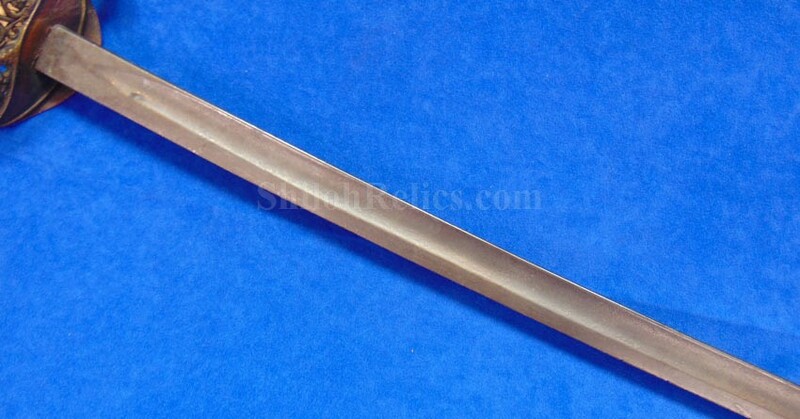 As you can see they constructed a very attractive sword even though there manufacturing techniques were not as finally honed as those of their northern counterparts. 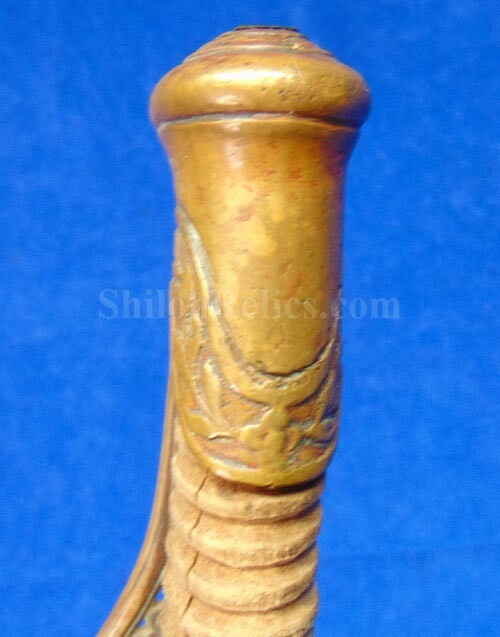 The handguard of the sword is made of cast brass and has the floral pattern which denotes it being for foot officer's rather than staff officers. 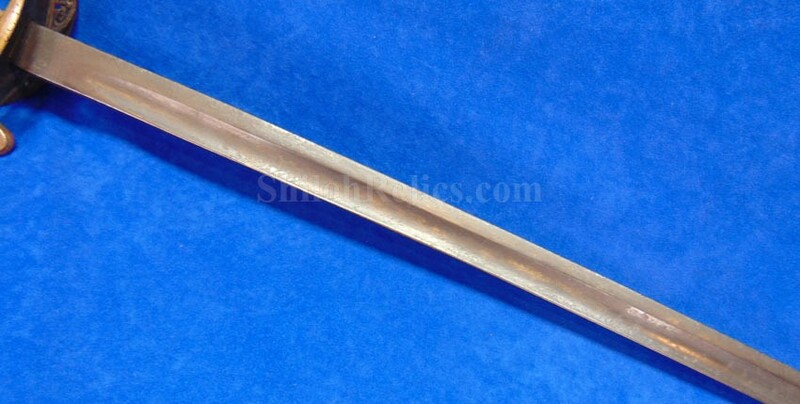 The staff officer swords of the day would have the "CS" lettering to denote the higher rank. 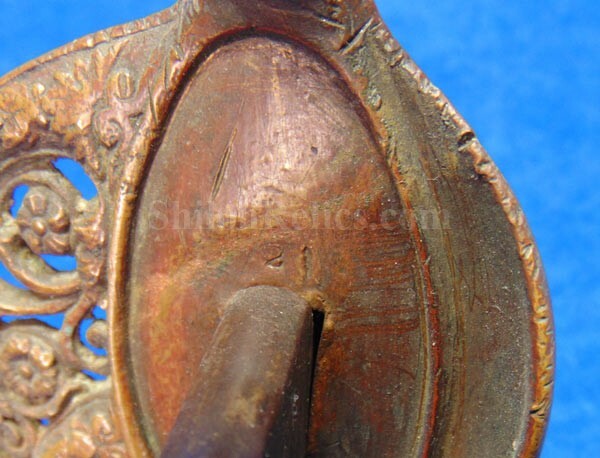 The pommel cap of the sword is also distinctive to Boyle & Gamble. 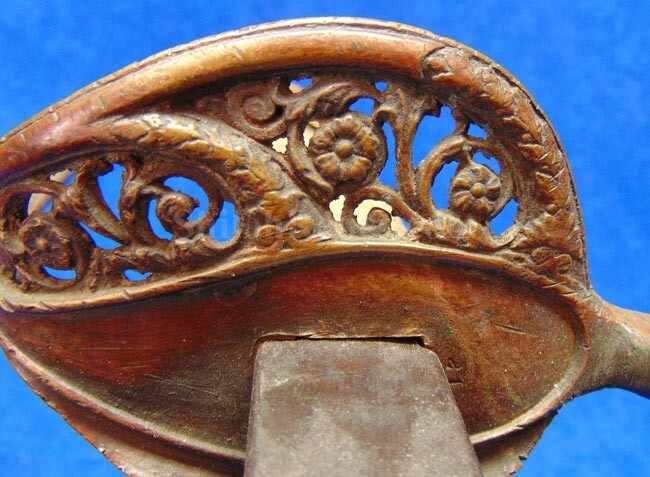 It has the Laurel leaf design that is distinctively Boyle and Gamble. Ont he blade side of the hand guard it has the assembly number "21" stamped into the metal. 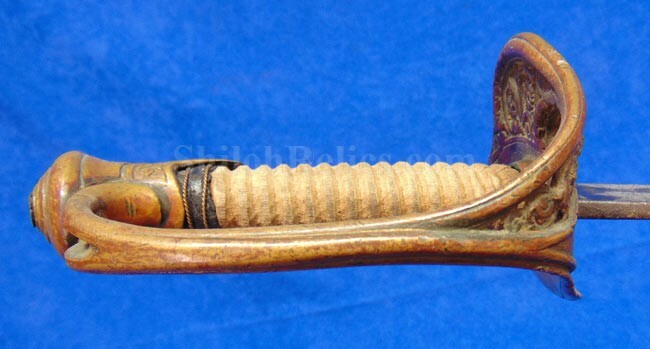 The handle of the sword is untouched and original. It retains the original wooden core as well as about 10% of the brown leather. It still has 2 of the strands of the double twist brass wire. The Boyle & Gamble firm manufactured swords to be sold by the famous Richmond, Virginia retailer Mitchell and Tyler. 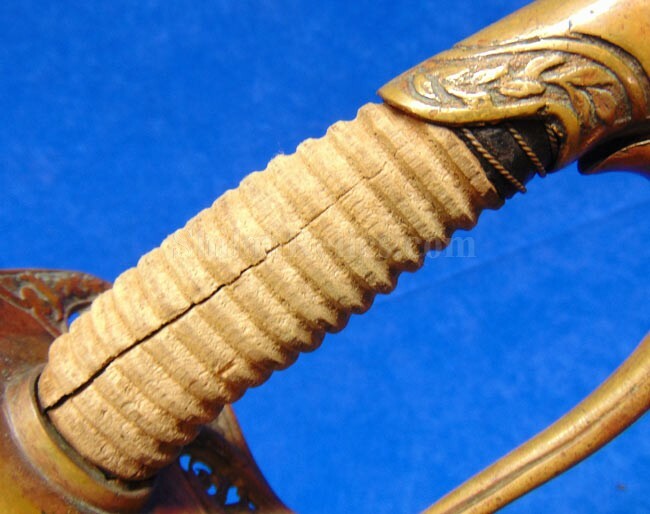 General consensus among collectors is that the swords with the double twist strand of copper wire were sold by Mitchell and Tyler but produced by Boyle and Gamble. This one has the cool attic look from tip to tip. 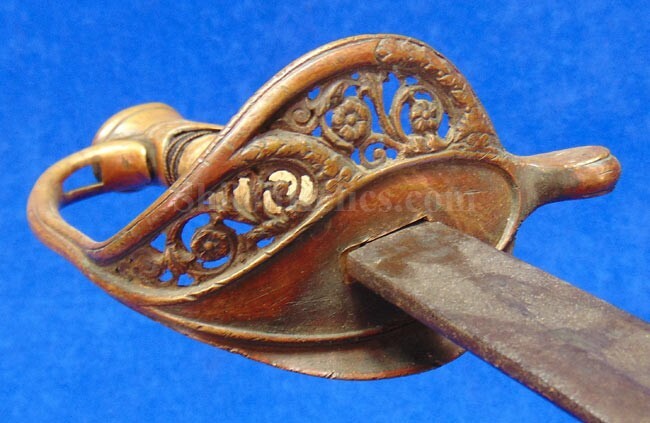 It is a very cool original Confederate officer's sword that is priced less than what an original CSA buckle will bring these days and it is much more scarce.